NOTE: Below is a summary article by Frances Rice and further below is a more extensive article by Kevin D. Williamson. As a result of efforts by Democrats to shift their racist past onto the backs of Republicans, using the mantra: “the parties switched sides,” people have requested an article addressing this issue. It does not make sense to believe that racist Democrats suddenly rushed into the Republican Party, especially after Republicans spent nearly 150 years fighting for black civil rights. In fact, the racist Democrats declared they would rather vote for a “yellow dog” than a Republican because the Republican Party was, and still is, the party for blacks. 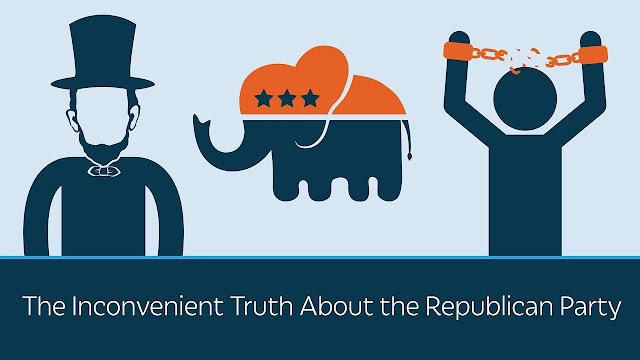 From the time of its inception in 1854 as the anti-slavery party, the Republican Party has always been the party of freedom and equality for blacks. As author Michael Scheuer wrote, the Democratic Party is the party of the four S’s: slavery, secession, segregation and now socialism. Democrats have been running black communities for over 60 years, and the socialist policies of the Democrats have ruined those communities. The racist Democrats of the 1950’s and 1960’s that Republicans were fighting died Democrats. One racist Democrat who survived until 2010 was Senator Robert Byrd, a former recruiter for the Ku Klux Klan. 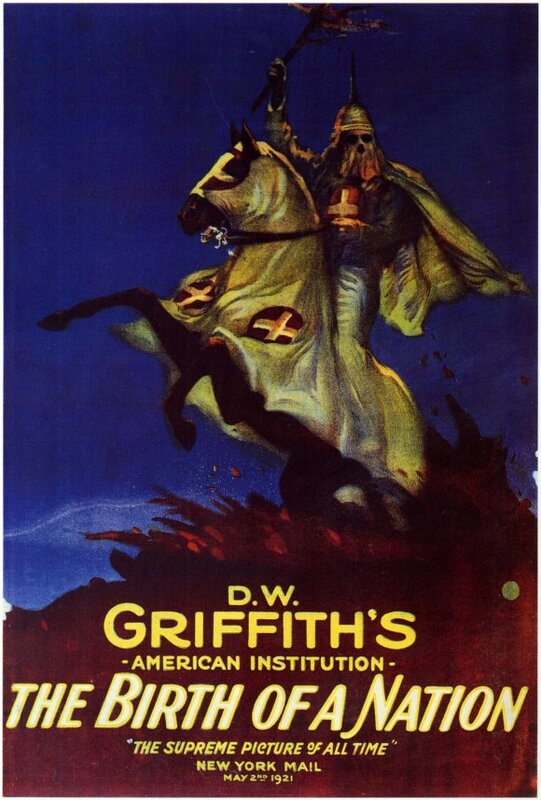 Notably, the Ku Klux Klan was started by Democrats in 1866 and became the terrorist arm of the Democratic Party for the purpose of terrorizing and lynching Republicans—black and white. Over 3,000 Republicans were killed, 1,000 of them were white. Thurmond was never in the Ku Klux Klan and, after he became a Republican, Thurmond defended blacks against lynching and the discriminatory poll taxes imposed on blacks by Democrats. While turning a blind eye to how the Democratic Party embraced Byrd until his death, Democrats regularly lambaste the Republican Party about David Duke, a former Grand Wizard of the Ku Klux Klan. Ignored are the facts that the Republican Party never embraced Duke and when he ran for the Republican Party presidential nomination in 1992, Republican Party officials tried to block his participation. Hypocritical is the word for how Democrats also ignore Duke’s long participation in the Democratic Party with no efforts by Democrats to block him. Below is Duke’s political history in Louisiana, which has an open primary system. Duke ran for Louisiana State Senator as a Democrat in 1975. He ran again for the Louisiana State Senate in 1979 as a Democrat. In 1988, he made a bid for the Democratic Party’s presidential nomination. Contrary to popular belief, President Lyndon Johnson did not predict a racist exodus to the Republican Party from the Democratic Party because of Johnson’s support of the Civil Rights Act of 1964. Omitted from the Democrats’ rewritten history is what Johnson actually meant by his prediction. Information about civil rights history is presented in the following two videos by Dr. Carol M. Swain, an award-winning political scientist, a former professor of political science and professor of law at Vanderbilt University. Here is a list of additional article that further expose Democratic Party racism. From the May 28, 2012, issue of National Review. This magazine has long specialized in debunking pernicious political myths, and Jonah Goldberg has now provided an illuminating catalogue of tyrannical clichés, but worse than the myth and the cliché is the outright lie, the utter fabrication with malice aforethought, and my nominee for the worst of them is the popular but indefensible belief that the two major U.S. political parties somehow “switched places” vis-à-vis protecting the rights of black Americans, a development believed to be roughly concurrent with the passage of the 1964 Civil Rights Act and the rise of Richard Nixon. 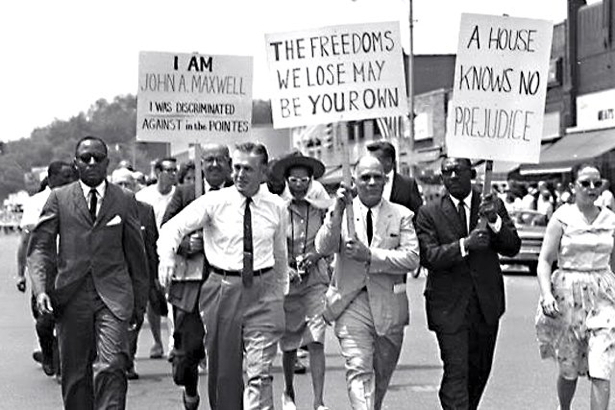 1964:George Romney, Republican civil rights activist. That Republicans have let Democrats get away with this mountebankery is a symptom of their political fecklessness, and in letting them get away with it the GOP has allowed itself to be cut off rhetorically from a pantheon of Republican political heroes, from Abraham Lincoln and Frederick Douglass to Susan B. Anthony, who represent an expression of conservative ideals as true and relevant today as it was in the 19th century. Perhaps even worse, the Democrats have been allowed to rhetorically bury their Bull Connors, their longstanding affiliation with the Ku Klux Klan, and their pitiless opposition to practically every major piece of civil-rights legislation for a century. Republicans may not be able to make significant inroads among black voters in the coming elections, but they would do well to demolish this myth nonetheless. Even if the Republicans’ rise in the South had happened suddenly in the 1960s (it didn’t) and even if there were no competing explanation (there is), racism — or, more precisely, white southern resentment over the political successes of the civil-rights movement — would be an implausible explanation for the dissolution of the Democratic bloc in the old Confederacy and the emergence of a Republican stronghold there. 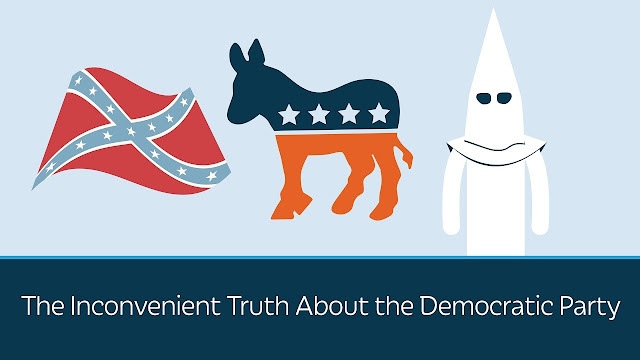 That is because those southerners who defected from the Democratic Party in the 1960s and thereafter did so to join a Republican Party that was far more enlightened on racial issues than were the Democrats of the era, and had been for a century. There is no radical break in the Republicans’ civil-rights history: From abolition to Reconstruction to the anti-lynching laws, from the Fourteenth and Fifteenth Amendments to the Civil Rights Act of 1875 to the Civil Rights Acts of 1957, 1960, and 1964, there exists a line that is by no means perfectly straight or unwavering but that nonetheless connects the politics of Lincoln with those of Dwight D. Eisenhower. And from slavery and secession to remorseless opposition to everything from Reconstruction to the anti-lynching laws, the Fourteenth and Fifteenth Amendments, the Civil Rights Act of 1875, and the Civil Rights Acts of 1957 and 1960, there exists a similarly identifiable line connecting John Calhoun and Lyndon Baines Johnson. Supporting civil-rights reform was not a radical turnaround for congressional Republicans in 1964, but it was a radical turnaround for Johnson and the Democrats. The depth of Johnson’s prior opposition to civil-rights reform must be digested in some detail to be properly appreciated. In the House, he did not represent a particularly segregationist constituency (it “made up for being less intensely segregationist than the rest of the South by being more intensely anti-Communist,” as the New York Times put it), but Johnson was practically antebellum in his views. Never mind civil rights or voting rights: In Congress, Johnson had consistently and repeatedly voted against legislation to protect black Americans from lynching. As a leader in the Senate, Johnson did his best to cripple the Civil Rights Act of 1957; not having votes sufficient to stop it, he managed to reduce it to an act of mere symbolism by excising the enforcement provisions before sending it to the desk of President Eisenhower. Johnson’s Democratic colleague Strom Thurmond nonetheless went to the trouble of staging the longest filibuster in history up to that point, speaking for 24 hours in a futile attempt to block the bill. The reformers came back in 1960 with an act to remedy the deficiencies of the 1957 act, and Johnson’s Senate Democrats again staged a record-setting filibuster. In both cases, the “master of the Senate” petitioned the northeastern Kennedy liberals to credit him for having seen to the law’s passage while at the same time boasting to southern Democrats that he had taken the teeth out of the legislation. Johnson did not spring up from the Democratic soil ex nihilo. Not one Democrat in Congress voted for the Fourteenth Amendment. 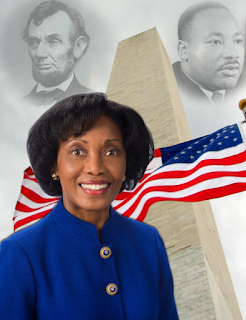 Not one Democrat in Congress voted for the Fifteenth Amendment. Not one voted for the Civil Rights Act of 1875. Klansmen from Senator Robert Byrd to Justice Hugo Black held prominent positions in the Democratic Party — and President Wilson chose the Klan epic Birth of a Nation to be the first film ever shown at the White House. President Johnson was nothing if not shrewd, and he knew something that very few popular political commentators appreciate today: The Democrats began losing the “solid South” in the late 1930s — at the same time as they were picking up votes from northern blacks. The Civil War and the sting of Reconstruction had indeed produced a political monopoly for southern Democrats that lasted for decades, but the New Deal had been polarizing. It was very popular in much of the country, including much of the South — Johnson owed his election to the House to his New Deal platform and Roosevelt connections — but there was a conservative backlash against it, and that backlash eventually drove New Deal critics to the Republican Party. Likewise, adherents of the isolationist tendency in American politics, which is never very far from the surface, looked askance at what Bob Dole would later famously call “Democrat wars” (a factor that would become especially relevant when the Democrats under Kennedy and Johnson committed the United States to a very divisive war in Vietnam). The tiniest cracks in the Democrats’ southern bloc began to appear with the backlash to FDR’s court-packing scheme and the recession of 1937. Republicans would pick up 81 House seats in the 1938 election, with West Virginia’s all-Democrat delegation ceasing to be so with the acquisition of its first Republican. Kentucky elected a Republican House member in 1934, as did Missouri, while Tennessee’s first Republican House member, elected in 1918, was joined by another in 1932. Throughout the 1940s and 1950s, the Republican Party, though marginal, began to take hold in the South — but not very quickly: Dixie would not send its first Republican to the Senate until 1961, with Texas’s election of John Tower. At the same time, Republicans went through a long dry spell on civil-rights progress. 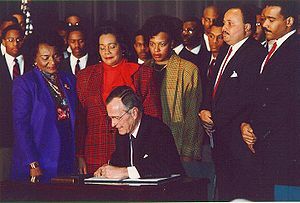 Many of them believed, wrongly, that the issue had been more or less resolved by the constitutional amendments that had been enacted to ensure the full citizenship of black Americans after the Civil War, and that the enduring marginalization of black citizens, particularly in the Democratic states, was a problem that would be healed by time, economic development, and organic social change rather than through a second political confrontation between North and South. The conventional Republican wisdom of the day held that the South was backward because it was poor rather than poor because it was backward. And their strongest piece of evidence for that belief was that Republican support in the South was not among poor whites or the old elites — the two groups that tended to hold the most retrograde beliefs on race. Instead, it was among the emerging southern middle class. This fact was recently documented by professors Byron Shafer and Richard Johnston in The End of Southern Exceptionalism: Class, Race, and Partisan Change in the Postwar South (Harvard University Press, 2006). Which is to say: The Republican rise in the South was contemporaneous with the decline of race as the most important political question and tracked the rise of middle-class voters moved mainly by economic considerations and anti-Communism. The South had been in effect a Third World country within the United States, and that changed with the post-war economic boom. As Clay Risen put it in the New York Times: “The South transformed itself from a backward region to an engine of the national economy, giving rise to a sizable new wealthy suburban class. This class, not surprisingly, began to vote for the party that best represented its economic interests: the GOP. Working-class whites, however — and here’s the surprise — even those in areas with large black populations, stayed loyal to the Democrats. This was true until the 90s, when the nation as a whole turned rightward in Congressional voting.” The mythmakers would have you believe that it was the opposite: that your white-hooded hillbilly trailer-dwelling tornado-bait voters jumped ship because LBJ signed a civil-rights bill (passed on the strength of disproportionately Republican support in Congress). The facts suggest otherwise. There is no question that Republicans in the 1960s and thereafter hoped to pick up the angry populists who had delivered several states to Wallace. That was Patrick J. Buchanan’s portfolio in the Nixon campaign. But in the main they did not do so by appeal to racial resentment, direct or indirect. The conservative ascendency of 1964 saw the nomination of Barry Goldwater, a western libertarian who had never been strongly identified with racial issues one way or the other, but who was a principled critic of the 1964 act and its extension of federal power. Goldwater had supported the 1957 and 1960 acts but believed that Title II and Title VII of the 1964 bill were unconstitutional, based in part on a 75-page brief from Robert Bork. But far from extending a welcoming hand to southern segregationists, he named as his running mate a New York representative, William E. Miller, who had been the co-author of Republican civil-rights legislation in the 1950s. And Goldwater’s fellow Republicans ran on a 1964 platform demanding “full implementation and faithful execution of the Civil Rights Act of 1964, and all other civil rights statutes, to assure equal rights and opportunities guaranteed by the Constitution to every citizen.” Some dog whistle. Of course there were racists in the Republican Party. 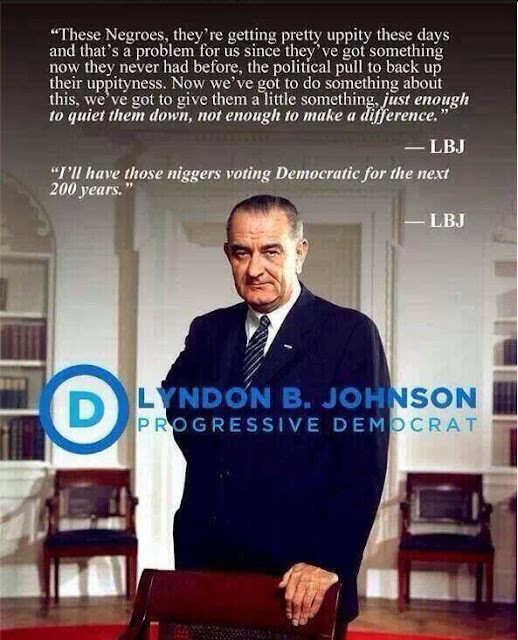 There were racists in the Democratic Party. The case of Johnson is well documented, while Nixon had his fantastical panoply of racial obsessions, touching blacks, Jews, Italians (“Don’t have their heads screwed on”), Irish (“They get mean when they drink”), and the Ivy League WASPs he hated so passionately (“Did one of those dirty bastards ever invite me to his f***ing men’s club or goddamn country club? Not once”). But the legislative record, the evolution of the electorate, the party platforms, the keynote speeches — none of them suggests a party-wide Republican about-face on civil rights. Neither does the history of the black vote. While Republican affiliation was beginning to grow in the South in the late 1930s, the GOP also lost its lock on black voters in the North, among whom the New Deal was extraordinarily popular. By 1940, Democrats for the first time won a majority of black votes in the North. This development was not lost on Lyndon Johnson, who crafted his Great Society with the goal of exploiting widespread dependency for the benefit of the Democratic Party. Unlike the New Deal, a flawed program that at least had the excuse of relying upon ideas that were at the time largely untested and enacted in the face of a worldwide economic emergency, Johnson’s Great Society was pure politics. Johnson’s War on Poverty was declared at a time when poverty had been declining for decades, and the first Job Corps office opened when the unemployment rate was less than 5 percent. Congressional Republicans had long supported a program to assist the indigent elderly, but the Democrats insisted that the program cover all of the elderly — even though they were, then as now, the most affluent demographic, with 85 percent of them in households of above-average wealth. Democrats such as Secretary of Health, Education, and Welfare Anthony J. Celebrezze argued that the Great Society would end “dependency” among the elderly and the poor, but the programs were transparently designed merely to transfer dependency from private and local sources of support to federal agencies created and overseen by Johnson and his political heirs. In the context of the rest of his program, Johnson’s unexpected civil-rights conversion looks less like an attempt to empower blacks and more like an attempt to make clients of them. If the parties had in some meaningful way flipped on civil rights, one would expect that to show up in the electoral results in the years following the Democrats’ 1964 about-face on the issue. Nothing of the sort happened: Of the 21 Democratic senators who opposed the 1964 act, only one would ever change parties. Nor did the segregationist constituencies that elected these Democrats throw them out in favor of Republicans: The remaining 20 continued to be elected as Democrats or were replaced by Democrats. It was, on average, nearly a quarter of a century before those seats went Republican. If southern rednecks ditched the Democrats because of a civil-rights law passed in 1964, it is strange that they waited until the late 1980s and early 1990s to do so. They say things move slower in the South — but not that slow. Republicans did begin to win some southern House seats, and in many cases segregationist Democrats were thrown out by southern voters in favor of civil-rights Republicans. 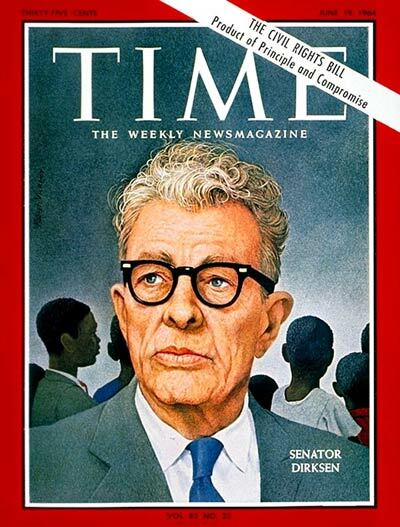 One of the loudest Democratic segregationists in the House was Texas’s John Dowdy. Dowdy was a bitter and buffoonish opponent of the 1964 reforms. He declared the reforms “would set up a despot in the attorney general’s office with a large corps of enforcers under him; and his will and his oppressive action would be brought to bear upon citizens, just as Hitler’s minions coerced and subjugated the German people. Dowdy was thrown out in 1966 in favor of a Republican with a very respectable record on civil rights, a little-known figure by the name of George H. W. Bush. It was in fact not until 1995 that Republicans represented a majority of the southern congressional delegation — and they had hardly spent the Reagan years campaigning on the resurrection of Jim Crow. It was not the Civil War but the Cold War that shaped midcentury partisan politics. Eisenhower warned the country against the “military-industrial complex,” but in truth Ike’s ascent had represented the decisive victory of the interventionist, hawkish wing of the Republican Party over what remained of the America First/Charles Lindbergh/Robert Taft tendency. The Republican Party had long been staunchly anti-Communist, but the post-war era saw that anti-Communism energized and looking for monsters to slay, both abroad — in the form of the Soviet Union and its satellites — and at home, in the form of the growing welfare state, the “creeping socialism” conservatives dreaded. By the middle 1960s, the semi-revolutionary Left was the liveliest current in U.S. politics, and Republicans’ unapologetic anti-Communism — especially conservatives’ rhetoric connecting international socialism abroad with the welfare state at home — left the Left with nowhere to go but the Democratic Party. Vietnam was Johnson’s war, but by 1968 the Democratic Party was not his alone. The schizophrenic presidential election of that year set the stage for the subsequent transformation of southern politics: Segregationist Democrat George Wallace, running as an independent, made a last stand in the old Confederacy but carried only five states. Republican Richard Nixon, who had helped shepherd the 1957 Civil Rights Act through Congress, counted a number of Confederate states (North Carolina, South Carolina, Florida, and Tennessee) among the 32 he carried. Democrat Hubert Humphrey was reduced to a northern fringe plus Texas. Subsequent presidential elections bore him out: Nixon won a 49-state sweep in 1972, and, with the exception of the post-Watergate election of 1976, Republicans in the following presidential elections would more or less occupy the South like Sherman. Bill Clinton would pick up a handful of southern states in his two contests, and Barack Obama had some success in the post-southern South, notably Virginia and Florida. The incorporation of the radical Left into the Democratic party. Individual events, especially the freak show that was the 1968 Democratic convention, helped solidify conservatives’ affiliation with the Republican Party. Democrats might argue that some of these concerns — especially welfare and crime — are “dog whistles” or “code” for race and racism. However, this criticism is shallow in light of the evidence and the real saliency of those issues among U.S. voters of all backgrounds and both parties for decades. Indeed, Democrats who argue that the best policies for black Americans are those that are soft on crime and generous with welfare are engaged in much the same sort of cynical racial calculation President Johnson was practicing. Johnson’s crude racism is, happily, largely a relic of the past, but his strategy endures. — Kevin D. Williamson is a roving correspondent for National Review and the author of The Dependency Agenda, which will be published by Encounter Books on May 29. This article appears in the May 28, 2012, issue of National Review.